Kelly Slater edged out Florence to win the Pipe Masters title, but lost the overall Association of Surfing Professionals World Title to Australian Mick Fanning, who won his third world championship. Hawaii surfer John John Florence won the Triple Crown of Surfing with a runner-up finish at the Billabong Pipe Masters in Memory of Andy Irons in what was described as “epic’ conditions at the Banzai Pipeline Saturday. Image via Stussy 2011 Spring Book. 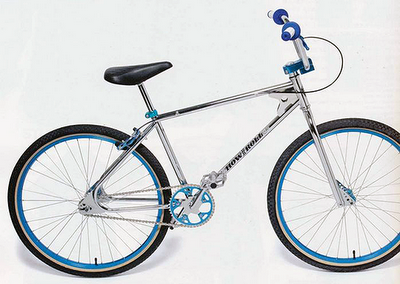 Here is an image from an upcoming collaboration between Stussy and W-Base on a BMX bike. Coming in a chrome/metallic blue colorway, the bike features lots of nice details and Oakley handlebar protection. No release date yet..
Join the Adidas Skateboarding team on tour in Sao Paolo and Rio de Janiero, Brazil: Silas Baxter-Neal, Dennis Busenitz, Mark Gonzales, Tim O’Connor, Pete Eldridge, Benny Fairfax, Nestor Judkins, Lem Villemin, Vince Del Valle, Jake Donnelly, Chewy Canon, Gunes Ozdogan, Petr Horvat, Kurt Winter joined our host Klaus Bohms skating his homeland. Enjoy! 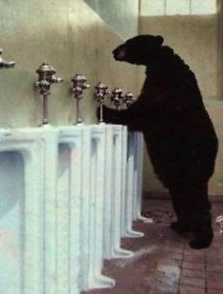 Would You Buy A Wetsuit On eBay From A Bear At A Urinal? 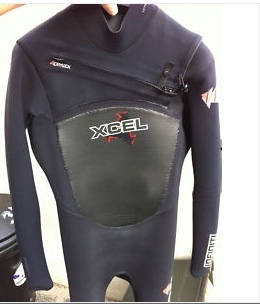 As you know… I am an avid surfer and even if you are not one, you have to read this eBay UK listing for a slightly worn wetsuit. The seller, Dan Morgan, manages to work in “an old man’s testicle,” his own hygiene habits, and a “bear using a urinal.” The key to good advertising copy is to tell a story. He’s doesn’t just describe the “used XCEL 3-2mm Infiniti Drylock Summer Wetsuit” for sale, he wraps a narrative around the wetsuit. The listing is already going viral. Seeing a marketing opportunity, XCEL Wetsuits is donating a second, brand new wetsuit to the winner, and DryRap is getting in on the action too by throwing in their changing towel, and Carve Magazine is giving a one year free subscription so to speak. The bidding is up to 1700 Pounds with 95 bidders, even though Morgan bought the original for only 300 Pounds. He will donate 90 percent of the proceeds to the Red Cross for Japan relief. The listing is brilliant, as they say in Britain. Unfortunately, eBay doesn’t think so. Morgan says he’s been contacted about some of the language and “unprofessionalism” of the listing (they don’t like the picture of the bear, apparently. Maybe it’s got something to do with false advertising). As a result, eBay is threatening to remove the listing. But it’s not offensive. It’s just good marketing. And almost all the money is going to charity, so eBay would look pretty callous if it does remove it. I bought this wetsuit brand-new last year and have worn it a fair bit. When I say ‘fair’ I reckon about 20 times, but then probably more like 30. A fair few times anyway. HOWEVER you will like this, If it was not being worn, it was hung on a hangar or rolled to prevent creasing AND I rinsed it in fresh water after EVERY session so it’s in VERY good condition as I look after my gear, I always do, similarly I take care of my body and shower at least once a day and always moisturise. Yes you’re probably getting a feel for the kind of man I am. You can see from the pictures it has no creases and looks lovely. My friend Gaz has got a wetsuit that he doesn’t look after and it looks like an Elephant’s arse, all wrinkled, a bit like an old man’s testicle. You’re probably thinking “People p*ss in wetsuits, I’m not sure about a second hand wetsuit”, but believe it or not I have NEVER urinated in this suit, seriously, these suits are too good to be doing such a vulgar act in, the wee just ends up staying in the suit and then when you’re sat having a post-surf pint in the pub you smell awful and girls don’t like boys that smell of p*ss so you just sit there, alone all night, sobbing into your pint of Betty Stoggs like a lonely desperate p*ss smelling man. I’ve included a picture of a bear using a urinal, this is how I normally use the toilet, notice that the animal is not wearing a wetsuit. Although I am not a bear, I, like a bear, do not p*ss in wetsuits. It’s a size medium or “m”, it was the top of the range suit when I bought it, I think I paid around £300 for it, still a great warm suit that will make you surf at least 200% better. It won’t really but it will keep you warm and it’s flexible so you’ll be able to throw your arms around like Beyonce whilst you’re bouncing along a wave. People will look at you and say “f*ckin hell check that dude out, he knows what he’s doing wearing one of those Xcel suits and he’s got some fresh dance moves”. They probably won’t say this. Now as it’s been worn, there’s some signs of wear around the neck, which I’ve taken pictures of, so you don’t say “oi you c*nt, there’s area of wear around the neck I’m giving you bad feedback”. The pictures make it look worse than it is (because they’re close-ups), and I’ve taken the pictures with the suit turned inside out, when it’s the right way round you don’t see the wear and it has no effect on the performance of the suit. That was a bit boring wasn’t it, but it had to be done so you can’t take me to eBay court for not being honest with you. Why am I selling it? Well I’ve just bought a new one, as I’m a flash tw*t like that, I tend to get a new suit every season, I just like the feel of fresh neoprene on my soft skin, and well to be honest I could do with some cash to pay for prostitutes. No, that was a joke, now you’re going to think the suit is riddled with disease but it’s not as I was joking I do NOT engage with ladies of the night. I’ll post it out the next working day following cleared payment, or if you’re around the Truro area you can come and collect it thus avoiding postage charges. Having said that, if you’re a maniac, maybe you should just let me post it to you as I don’t want to be murdered to death, especially as the summer is just beginning! WOO HOO. Any questions just ask, I’ll answer them very quickly as I’m sat at a computer all f*cking day, unless there’s waves. Thanks for looking and reading all of that ridiculous text, I hope you have a wonderful day. 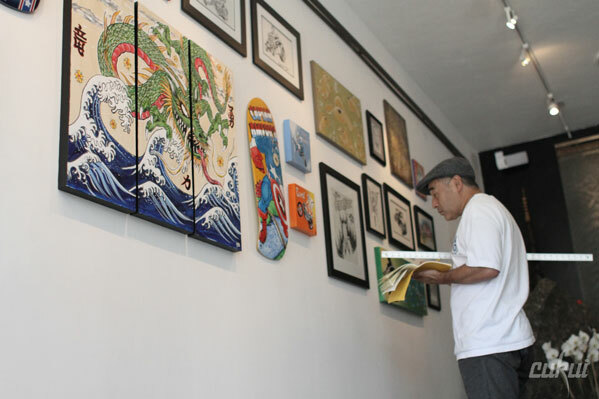 Cukui teamed up with skate icon/artist Steve Caballero for a special art show at the brand’s flagship space in San Jose, California. The event featured various works of art ranging in size, mediums and content. Check out the shots at Cukui. Quiksilver releases “Moments”, a 24 minute film starring champion Kelly Slater, Dane Reynolds, Jeremy Flores, Craig Anderson, Clay Marzo and the rest of the global Quiksilver surf team and was filmed in Indonesia, Hawaii, Tahiti, Mexico, Australia, France and Puerto Rico. Moments was shot in full HD using Phantom Gold, Cineflex, Red One and 16mm film cameras and features unique perspectives such as a Phantom helicopter angle at Grajagan in Indonesia, that has never been seen before in a surf film. Moments also uses an artistic approach to explore the individuality and uniqueness of each surfer’s style. 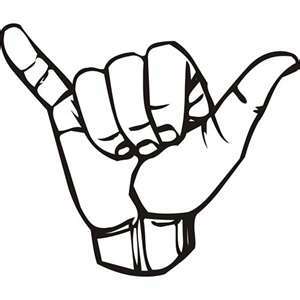 Hang Loose! 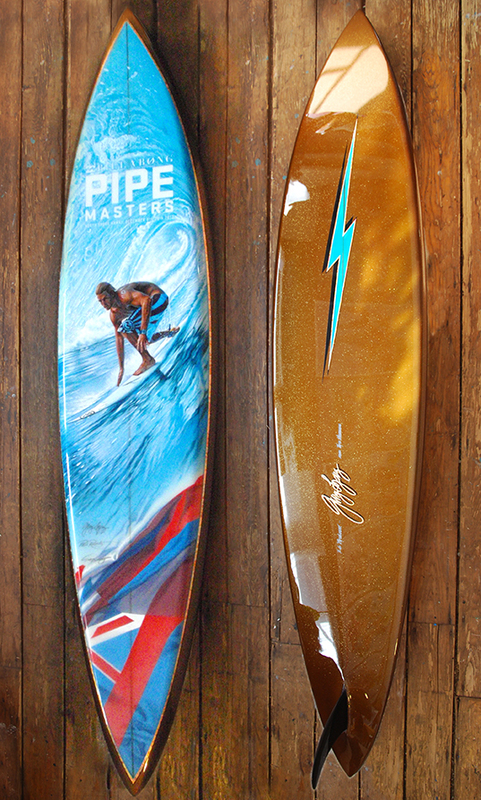 BTW, Congrats Kelly Slater for winning the Quik Pro Gold Coast 2011! Throughout the summer, visitors will find some unusual specimens amongst the museum’s permanent collection – a stonehenge made from portable toilets greets visitors on arrival, a burnt out ice cream van now replaces the enquiries desk and the life size historic biplane suspended from the ceiling now provides refuge for a Guantanamo bay escapee. Banksy has filled the museum with his own wry take on classical art. Check out the collection of images by MG/BS4 taken from the show on Flickr. This exhibition should not be missed! Fixed Magazine has just released it’s 2nd issue for Winter 2008. It includes the English review of the stage bike track in Milan, Italy. 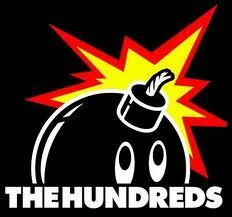 This issue also discusses the creation of the Macaframa movie, which first took place in London a few days ago. The movie is the most anticipated of the year for it’s kind. This is probably the most complete magazine on a single culture out there. Check it out for free here.